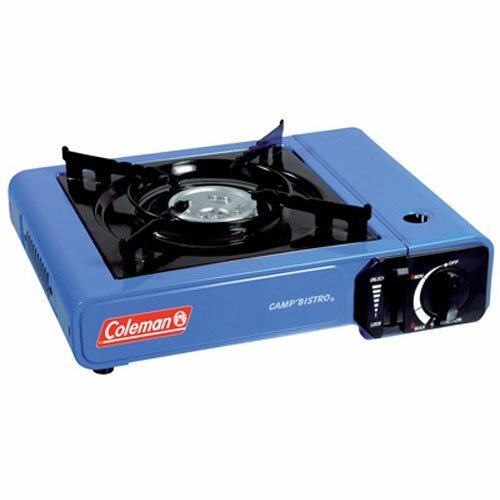 On-the-go cooking just got a little easier with the Coleman Butane Stove. With an ultra-portable design and the included carry case – this grill is ready whenever you are. It easily fits on any outdoor table top. All you need to do is pull it out, lock in the separate butane cylinder, turn the adjustable burner control to activate the Instastart automatic ignition, and you can be cooking in no time. Wind baffles help shield your flame from the wind so the most heat possible goes into making your meal in up to a 10-in. pan. When the meal is over, the durable, porcelain-coated grate wipe clean easily.